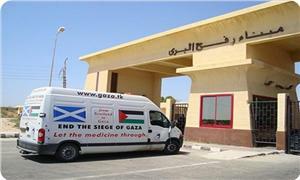 The “Alger-Gaza 3” aid convoy, carrying medicines and medical kit, reached the Gaza Strip on Monday via the Rafah crossing. The humanitarian envoy is the first to arrive in Gaza for the past few months, due to the closure of the Rafah crossing. Head of al-Wiam charity organization in Gaza, Mahmoud Abu Mer’i, said the relief committee in the Association of the Algerian Muslim Scholars equipped the convoy. 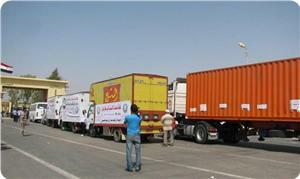 The solidarity convoy was packed with six large containers, all furnished with medical necessaries and devices. 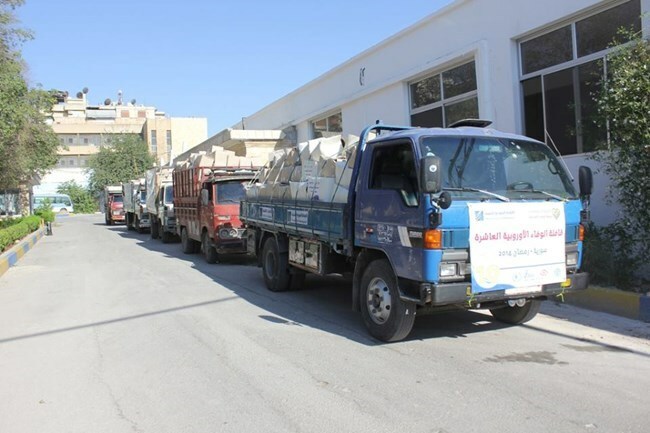 The European al-Wafa campaign declared its intention to organize a new campaign to extend relief materials to Palestinian refugees in Palestine, Syria, Lebanon, and Turkey as winter takes its toll. Head of the European Campaign Amin Abu Rashid clarified that “Together for Warm Winter Campaign” is a humanitarian relief convoy set up to help providing humanitarian emergency assistance to Palestinian refugees who are deprived from their basic human needs in the current cold weather. The campaign relief aids are expected to be distributed in four main countries due to the poor and difficult living conditions suffered by those forcibly displaced refugees, he added. Abu Rashid called upon the international humanitarian institutions to contribute in the relief campaign in order to provide immediate assistance for the refugees. Earlier, the European al-Wafa Campaign had organized a number of relief campaigns and sent several delegations to check on the living condition of the Palestinian refugees in an attempt to alleviate their suffering and plight. In the same context, al-Wafa Campaign ended up its “dressing the wounds and re-housing the displaced” campaign which started early November aiming to restore the destroyed homes and to shelter the homeless in Gaza Strip in the aftermath of the Israeli summer attack. In July 2014, Israeli forces launched a military operation against the Gaza Strip, which completely destroyed or partially damaged tens of thousands of residential buildings, in addition to massive damage to infrastructure in towns, villages, and refugee camps. Around a quarter of a million Palestinians found themselves without shelter in an already overpopulated Gaza Strip, bursting with inhabitants; the majority of them refugees without the resources essential for life. Egyptian Authorities have closed Wednesday Rafah crossing until further notice following the deadly attacks in Sinai, preventing the access of the Jordanian Artery of Life aid convoy to Gaza Strip. 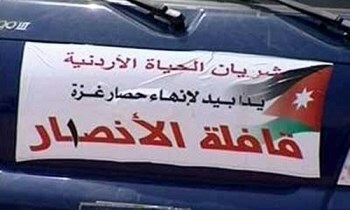 Jordan’s Foreign Ministry informed the trade unions, the party responsible for the convoy, that Egypt Tuesday allowed its entry to the Strip. However, the border crossing was closed Wednesday following the bombing attacks in Sinai. The Egyptian army on Wednesday morning demanded the residents of the northern neighborhoods in the Egyptian border city of Rafah to evacuate their homes in order to demolish them and establish a 500-meter buffer zone along the borderline with the Gaza Strip. Jordanian Foreign Ministry confirmed that the convoy could have access to the Strip once the crossing is reopened by Egyptian authorities. 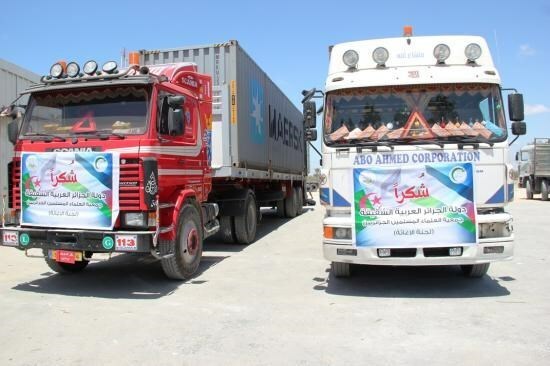 Following the Israeli 51-day aggression on Gaza Strip, Jordan’s trade unions announced the organization of Artery of Life convoy to break the 8-year siege on Gaza and to provide some of the basic humanitarian needs to the people of the Strip. About 50 Palestinian institutions in Europe have set plans and suggestions to deliver aid to the Gaza strip and the families affected by the Israeli war on the Strip in the summer of 2014. Throughout the past few days, these institutions have held a conference to discuss mechanisms and ways to support the affected Palestinian families. The decisions concentrated on providing the homeless families with temporary shelters and the wounded with the treatment they need. They also addressed programs to support Al-Aqsa Mosque. Ameen Abu Rashed, the director of al-Wafa campaign, told Al Jazeera Net that the conference, held at the initiative of the campaign in cooperation with the Assembly of Palestinian doctors in Europe, came up with an initiative to cooperate and to coordinate efforts for the sake of supporting Gaza. He also mentioned that the two main themes of the conference were the medical aid, and the urgent sheltering, promising to renovate 5000 housing units, secure the rents of 3000 houses, support 1500 families and provide 1500 housing units. As for the medical issues; he pointed out that the Palestinians in Europe took upon themselves to provide treatment for 300 wounded Gazans in coordination with European governmental and non-governmental organizations. He pointed out that the last Israeli war on Gaza had increased the European sympathy with the Palestinian cause. Palestinians in Europe try to help, support and alleviate the siege on Gaza, benefiting from the European facilitation and the projects dedicated to support the health and development sectors in the Strip. For his part, Munther Rajab, the General Coordinator of the Assembly of Palestinian doctors in Europe, said that the meeting approved recommendations to intensify the European medical delegations to Gaza. It also approved hosting the wounded for treatment, he said, adding that prior approvals will be obtained from the European countries which will receive the wounded, and the embassies in these countries are facilitating this process. In another context, the conferees approved the urgent priority of contacting official circles and decision-makers in Europe to clarify the risks of the Israeli violations against Jerusalem and al-Aqsa Mosque. The participants praised the events that took place in scores of European cities during the last few days, most notably; last Friday's ceremony in the European mosques which addressed the risks threatening Jerusalem and al-Aqsa Mosque in light of the Israeli escalated attacks. The international aid convoy Miles of Smiles -30- entered the Gaza Strip afternoon Wednesday via the Rafah border crossing. A medial team of doctors and surgeons from Algeria and Malaysia accompanied the convoy. Dr. Ahmed Librahimi, the chairman of the medical delegation, said in a statement on arrival in Gaza that the delegates would operate on a number of those wounded in the Israeli war on Gaza. He said that the arrival of the new convoy is a proof of the Miles of Smiles ceaseless efforts to send aid to the besieged enclave, and a message to the Israeli occupation that the Palestinians in Gaza are not alone. The government of Ecuador recently announced that a second cargo load of humanitarian aid was brought to the Gaza Strip, on Thursday. According to the RIA Novosti news site, Ecuadorian authorities launched a campaign this past July, called “We Are All Palestine,” to gather donations, which included tents, mattresses, nonperishable food items, clothing and medicine for the people of Gaza. 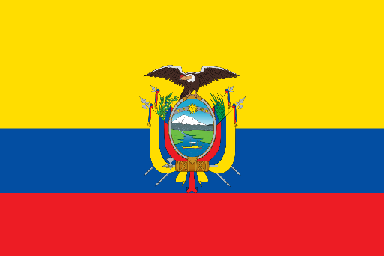 A total of 48 tons was collected. Latin American-Palestinian relations achieved international recognition when Bolivian president Evo Morales and Mahmoud Abbas met in New York, this past September. Bolivia is a country which has integrated thousands of Palestinian immigrants into their social fabric, a people who have contributed to the economic, cultural and social development of Bolivia, and has committed its support to the planned opening of a Palestinian embassy in La Paz. In July, the country renounced a visa exemption agreement with Israel in protest over the recent military offensive in Gaza, declaring it a terrorist state. A Greek solidarity delegation carrying medical aid was allowed by the Egyptian authorities to cross into the Gaza Strip on Wednesday evening. Some Palestinian officials and national figures received the delegation at Rafah passenger terminal on the Palestinian side of the border. The delegation, whose members are from leftist Greek institutions and associations, brought 10 tons of medical aid for health care centers. Ra'ed Sabbah, head of the union of the health care committees, said that members of the delegation would be on a five-day solidarity mission in Gaza, expressing his appreciation for their efforts to come to the blockaded Strip and help its population. Sabbah added that the visit of the delegation is aimed to help the Palestinian people in Gaza and support their steadfastness, in the face of the occupation, and their struggle for their just national rights. Nine pro-Gaza member groups of the international Freedom Flotilla coalition met on Monday evening in Istanbul and discussed a plan to send a convoy of aid ships during the coming months to the besieged and war-torn Gaza Strip. Representatives of other non-member groups from Jordan, Malaysia, Indonesia, South Africa and other countries attended the meeting. 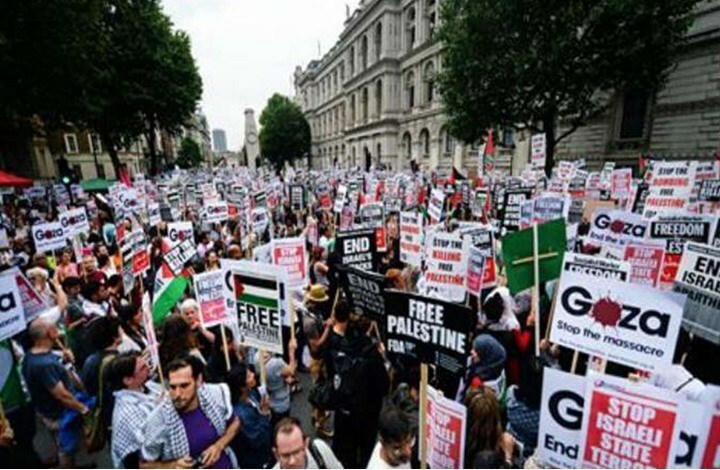 The coalition intends to hold a news conference to announce the details of the convoy's departure for Gaza following a final meeting on Tuesday. 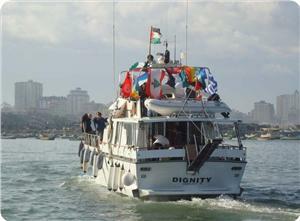 Members of the coalition also agreed yesterday on organizing pro-Gaza demonstrations at sea worldwide. The international committee for breaking the blockade, the founding member of the coalition, said there would be a new project aimed at twinning Gaza port with other ports in the world. Bulent Yildirim, head of the Turkish Foundation for Human Rights and Freedoms and Humanitarian Relief (IHH), revealed that a second Freedom Flotilla is to set sail soon loaded with tons of humanitarian aid to break the siege on Gaza. Yildirim told Alkhaleej Online that the foundation started on Thursday the legal procedures to organize the convoy, saying that once it is approved numerous international humanitarian organizations would take part in the convoy. He said that the convoy would be organized under Turkish army protection, adding that IHH had submitted a request to the Turkish government to provide them, as Turkish citizens, with the needed protection. For his part, head of the European campaign to lift the siege on Gaza Mazen Kahil declared his organization's intention to participate in the planned flotilla, saying that contacts are made with IHH in this matter. 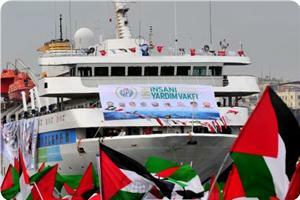 IHH and the European campaign along with several Turkish relief organizations had participated in Freedom Flotilla I, which was attacked by the Israeli Navy in international waters on May 31, 2010.